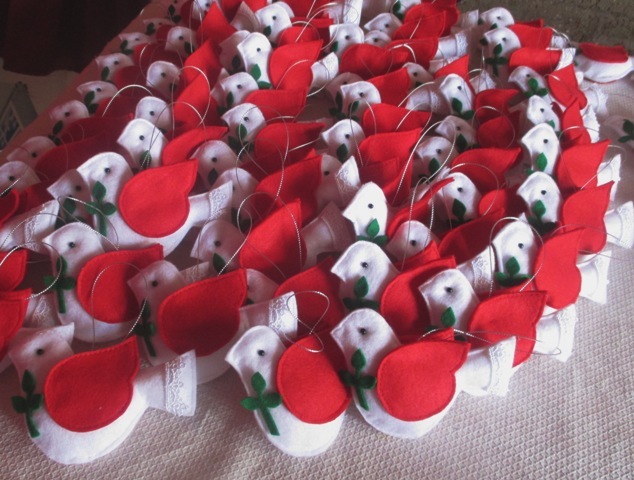 Las Artesanas por la Vida (Artisans for Life) are just about to export their latest creations to ENACTUS St. Mary’s: Doves that are Messengers of Peace and colourful Flowers of Friendship. Since the training workshops in August, the women have been very motivated to continue expanding their business, which essentially functions as a co-operative. I have been very busy with other activities and have not been able to spend much time with the artisans women, but every time I meet with any of them they eagerly tell me what they are making in their homes. A few of the adolescents that are in my group on Saturdays have also mentioned that their mothers seem more optimistic about life in general now that they are busy working away on this order and another order for Chalice to be sent very soon. But there are also challenges along the way. For example, seeing as Serpost (Peru’s mail service) was on strike for the past several months and is currently very backlogged, we are trying to figure out the most efficient way to ship the products to Canada (as using DHL would be incredibly expensive), just one of many challenges that the women have faced recently. Nonetheless, we are willing to stop at nothing to make this co-op function as it is so much more than handmade products; it represents the economic rights of women that are so very absent in Peru, a country dominated by males at every level of society, and especially in the shantytowns that the women with work with call home. Among other things, it represents freedom (to leave their homes to attend meetings and production workshops), autonomy (to leave their children at home or with relatives while they go to work, which needs to be to viewed as such rather than just a time for socializing, as many of the husbands view it); the development and expression of creativity; learning basic business skills and professionalism on an individual and group level; teamwork; the development of organization, planning and networking skills; perseverance and hope. 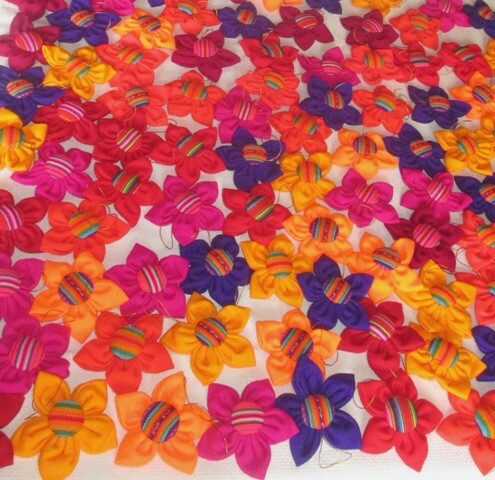 made with vibrant Peruvian cotton fabrics from the mountainous regions. As you begin your work week, however stressful it may be, take a moment to think of the challenges that others face in their struggle to obtain and maintain employment which puts their dignity and rights front and centre.